PAL Furnace Autosampler The sampler is an essential component of the furnace system and each accommodates around 40 samples and 10 pre-mixed standards, plus one stock solution for automatic mixing of up to 10 standards. Multiple carousels can be used in an analysis. 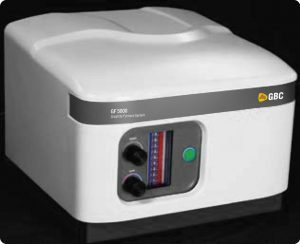 The SDS-720 is an XYZ autosampler system for flame AAS, ICP or ICP-MS. 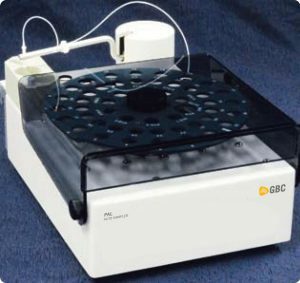 It can be used for flame analysis, hydride generation, mercury cold vapour analysis and with the MC 3000 mercury concentrator. It can also be used with the Autosipper with the Cintra 2020, 3030 or 4040. 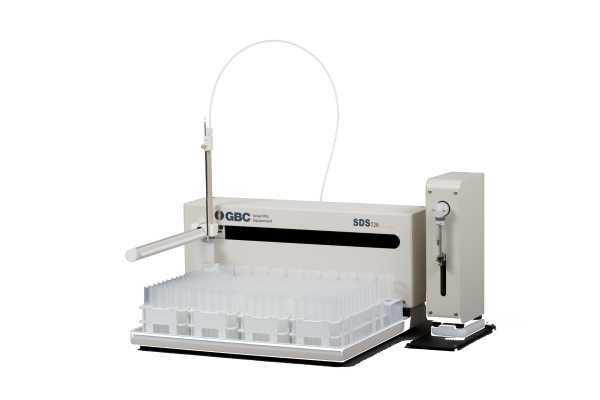 The SDS-720 is a precision engineered X-Y-Z autosampler. 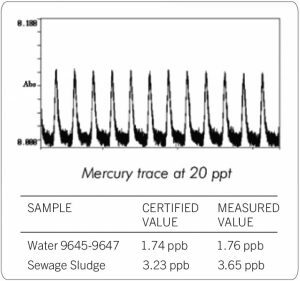 The SDS-720 provides accurate and fast analysis due to its durable, simple, adaptable, reliable and sturdy design. Supplied with sample racks to hold 180 sample vials each of approximately 14 mL and a standards rack to hold 10 standard vials each with a volume of approximately 20 mL. 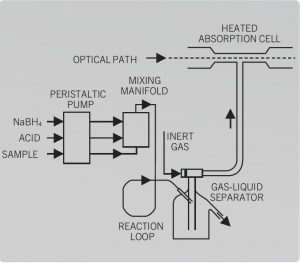 PTFE and PEEK is used to provide a metal free liquid flow path. 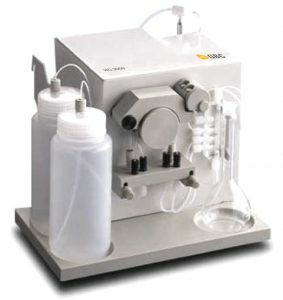 Variable continuous flow sample probe rinse station with peristaltic pump minimizes sample contamination and carryover. 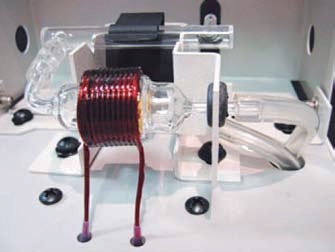 An inert spill rack which prevents any solution inadvertently spilling over the autosampler or your laboratory. The SDS-720 is now faster than the superseded model and provides unmatched productivity with full random access capability from a small footprint. A built in peristaltic pump provides trouble free continuous stream of clean rinse solution.